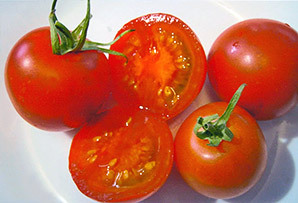 It is best when saving seed to let the tomatoes over ripen on the bush - but start the process as soon as any damage appears. Bring seeds in every night or rodents may eat the seed and the night air keeps them damp overnight. Store in a cool dry place (once seed is dry enough) in an air-tight container in the fridge crisper. You will thus achieve years of viable storage.